I totally love when food items are melty & gooey. Well, that is when they should be melty & gooey. Chocolate chips in a freshly baked cookie should be melty & gooey. A granola bar full of a variety of items including chocolate chips, should not be melty and gooey. There is just something so delicious when a food product achieves this melty & gooey perfection. I’m not sure what does it for me but, it just does. The way to this girls heart is certainly through some delicious food. And melty & gooey is usually delicious. It is a bummer however when a product is meant to be melty but is not also gooey. Or really, in the case of Milano Melts Cookies, not really all too melty either. 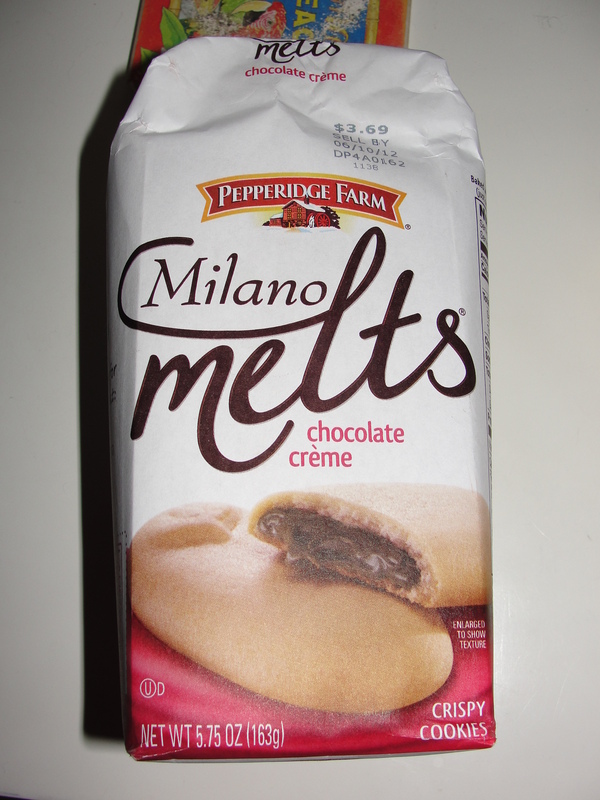 I purchased these Milano Melts Chocolate Creme quite a while ago. It has actually been a few weeks since I last had one but, no worries, they are still fresh in my mind. I occassionally purchase Milano cookies for my lunch-packing-mix when they are on sale. Not all the time but, on occassion. On this visit to Publix, I saw these Melts for the first time and decided that Grandma should probably try them. Now, I have had these cookies both right out of the cabinet and right out of the fridge. I will say, while neither option is melty or gooey, I do prefer the cookie out of the fridge. 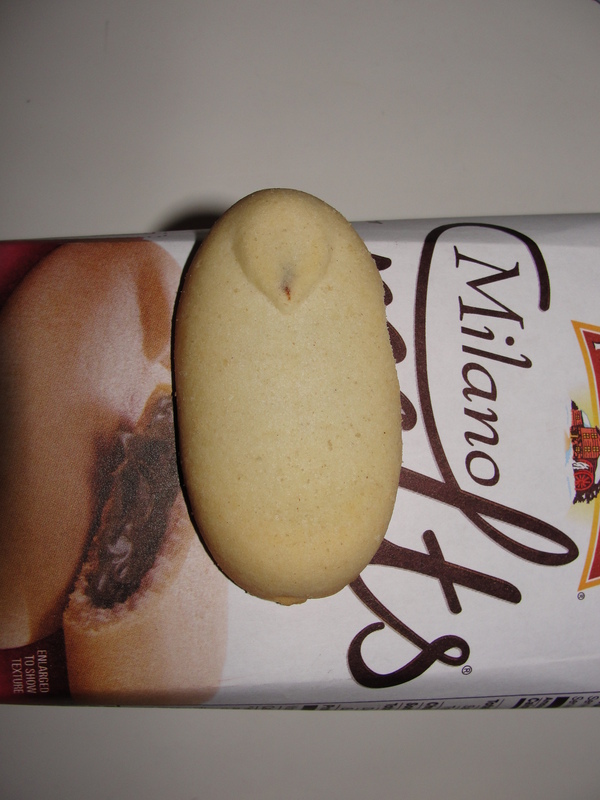 Rather then traditional Milano cookies where you can see the perimeter of the creme filling, all of the filling in the Melts is right in the center of the cookie. From the outside look of the cookie, you can only see the wafer itself. The cookie part of the Melts is pretty basic in flavor. Perhaps I taste hints of vanilla & butter but, the taste is really pretty muted. I find this to be the case with all Milano cookies. My guess is, they want the creme to do the talking. The creme in this cookie is pretty good but certainly is not melty or gooey. When the cookie is out of the pantry, the creme is room temperature and produces a bit of a ‘pull’ when you bite into the cookie. I find the creme to be of the milk chocolate variety and a bit sugary. The consistency of the creme is quite smooth which does help to improve the taste. While you can taste the crunchiness of the cookie, the main flavor you receive is the creme. I find the overall product out of the pantry to be mediocre and not too exciting. I do prefer the cookie out of the fridge. Placing the cookie in the fridge allows the cookie part to take on a new consistency – hardened and more crispy. The chocolate creme, while still having the pull, also gets quite cold. I enjoy the creme in its cold state because it allows it to harden a bit more. But, I must empahasive that even though it hardens, it does keep a lot of its creaminess. This is key and most likely why I prefer them in the fridge. I find the extra consistency of the cookie paired with the hardened creme, produces an end product that is more flavorful and satisfying. While I do like this cookie and would have no problem having it again, I do have a problem with the fact of the cookie being labeled as ‘Melts.’ I really don’t feel as if this cookie has all too much ‘Melts’ in it. Yes, I understand this is hard to do in a packaged food product but, Milano should have tried just a bit harder. 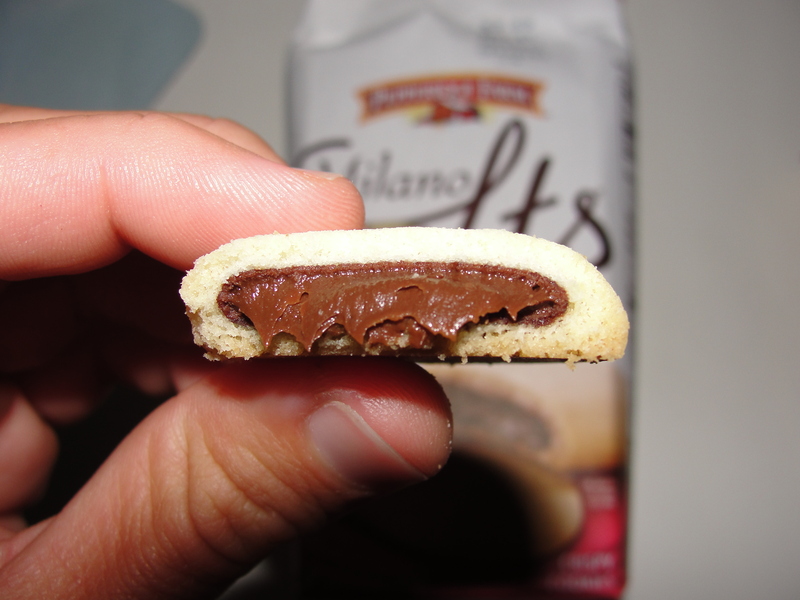 The Milano Melts Chocolate Creme is a decent cookie but you need to go into it realizing there will be no Melty and there most certainly will be no Gooey. Pick up these cookies if they are on sale and try them in the fridge. Thinking about it now, I should have popped these in the microwave for 10 seconds or so and checked out what happened. Perhaps this would nail down the ‘Melts’ that Milano falsely advertises to me. Because as they stand in my book, Melts is Purely False. ← Did We Eat Yet?